Celebrating 52 years of Prem Rawat’s commitment to teaching inner peace around the world. Available now on the app and website. 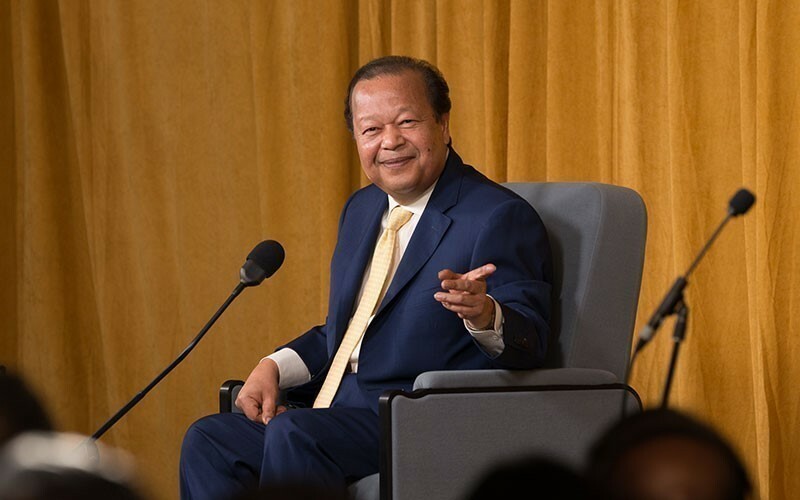 Words of Love - with Prem Rawat Celebrating 52 years of Prem Rawat’s commitment to teaching inner peace around the world. Available now on the app and website. Watch Prem’s personal message with our compliments. Enjoy the full-length audio or video of this special celebration. This special release honors an age-old tradition in India of celebrating the connection between student and teacher and also marks the anniversary of Prem becoming the teacher of Self Knowledge at eight years old. Prem reflects on the last five decades of tireless efforts to promote peace and wellbeing throughout the world which millions of people have engaged with at live events, via television, radio, and online, as well as through his literary work. The video and audio are available in Hindi with English and Spanish translation. Tip: If you would like to skip the pre-event videos, then please note that Prem's main address begins at 14 minutes and 18 seconds into this video.